All assistive listening technologies require 2 things, an audio source and a means of transmitting that audio wirelessly. The audio source can be a microphone, PA system, or even the audio from a television. The three most widely used assistive listening systems are: Induction Loop, Infrared and FM Systems. All three listening system technologies have their uses, but it is important to understand their pros and cons before selecting the system that is right for your needs. Magnetic Induction or Induction Hearing Loop technology requires the audio source to be converted to magnetic energy and to travel through an antenna wire around the area it is to cover. The signal is then picked up by a tiny receiver built into the hearing aid, the T-Coil. The hearing aid user does not require additional hardware as with the FM and Infrared systems, the T-Coil in the hearing aid is all that’s required. Induction Loops can be used in both large and small venues where privacy is or is not a concern. It is the only system appropriate for one-to-one conversations at retail or service counters. Churches | Theatres | Conference Centres | Council Chambers | Courtrooms | Bank Teller Wickets | Checkout Counters | Drive Through Communication. The single most important assistive device for people with hearing loss has been, still is and will be for the foreseeable future the hearing aid. But the hearing aid alone, how digital, high-tech and nice looking it might be, is not a sufficient tool for better hearing in every place and at every time. Sometimes it’s just not enough. When the hearing aid is insufficient the user gets alienated and cut-off of the social setting. To be unable to take part in the social interaction between people is a debilitating experience and it tends to make people feel alone and unhappy. The idea of an assistive listening device is to assist whenever the hearing aid is not sufficient. In many cases the only way to increase speech intelligibility is to cut the distance between the sound source and the listener and at the same time reduce the present noise. This can basically be achieved with the use of three different techniques – hearing loop, radio (FM) or infrared (IR) systems. Why is the hearing loop system the best solution? While FM and IR systems may have its advantages in certain personalized situations, only the hearing loop can bring sound to everyone, everywhere and at once without the need for an extra receiver. The hearing loop uses the built-in receiver in the hearing aid (T-coil) to transmit the sound without background noise through the personally adjusted hearing aid. Without any extra receiver and without any power consumption, the hearing aid user can experience crystal clear sound free of disturbing noise – without even telling anyone about their hearing loss. They just switch their hearing aids to T-position and enjoy the sound. That is real freedom! To bring back this freedom to the hearing aid users and fill them with hope has always been the most important goal for us. The hearing loop is clearly the best option for the hearing aid user. We believe it’s also the best solution for the owner of the venue. Although a loop system might demand a little more commitment at the start, it will pay back many times over. A loop system is always active and can facilitate for everybody as it’s not limited to the number of receivers you have. With a minimum of maintenance it’s also the most cost effective solution. In environments where people are just passing through, a loop system is the only practical solution. Using FM or IR systems in public venues poses a variety of problems, both for the hearing aid user and for the owner of the venue. The hearing aid user has to localize a possible supply of assistive listening devices, ask for help and thereby revealing that he or she has a hearing loss. 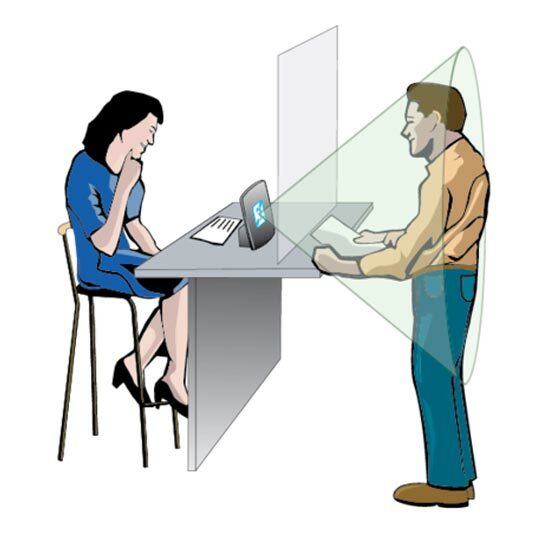 During the whole event the user has to wear a conspicuous receiver/headset, which is not adjusted to his or her hearing loss, and that has to be returned after the event. The owner of the venue on the other hand has to organize someone who hands out the receivers and collects them after use. The receivers have to be stored, checked, charged, cleaned, repaired and replaced which eventually will lead to considerable maintenance costs. In larger venues like stadiums and sport arenas, conference facilities and auditoriums, cinemas and theatres as well as in churches and other places of worship, the induction loop system is the optimal solution. 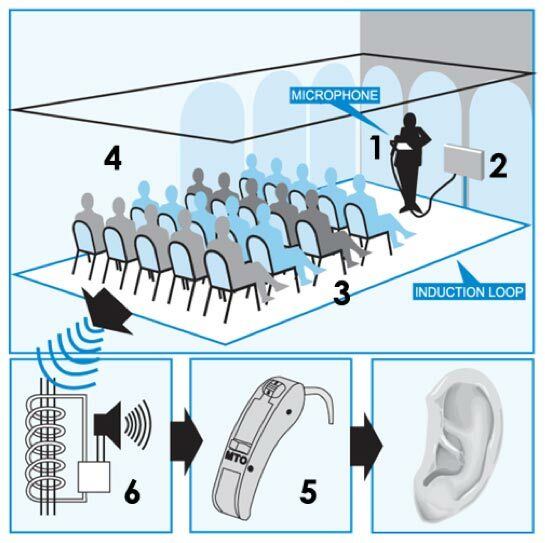 But also for smaller venues like meeting rooms, school classrooms, retail stores and banks a loop system can benefit the needs of the hearing impaired in a great way. In taxis and public transit a loop system can also work with a high performance. FM technology requires the audio source to be converted to FM radio waves and then transmitted through a special FM transmitter which then gets picked up by individuals with FM radio receivers which are dialed into the same frequency, not unlike the radio in your home or car. FM systems are appropriate for large room installations where privacy is not a concern. FM Radio waves travel over a large area and through walls, so reception is generally very good. The location of the transmitter and antenna are not very important so installation is generally easy, even after the construction of a room has been competed. Even those without hearing aids can wear a receiver/ headset and reap the benefits. FM systems can suffer interference from other FM sources. Because FM travels over large distances and through walls, unless one uses very expensive encrypted hardware, it is not a secure signal. FM systems require a different frequency for each facility meaning a receiver (headset) must be tuned to the proper frequency at each location. This can be a very complicated process. In using a headset it is obvious that a person has a hearing disability. Many people are uncomfortable with others knowing about their disability and would prefer to simply not use the system at all. Sound leakage from out of the headset and disturb other people. FM systems require the use of special receivers and headsets; they are not directly compatible with hearing aids. Infrared (I/R) requires the audio source to be converted to infrared light waves and then transmitted to individuals with special I/R receivers. This technology is not unlike how your remote control sends a signal to your TV. It should be considered in public places where privacy is of importance and line of site to the transmitter is not an issue. 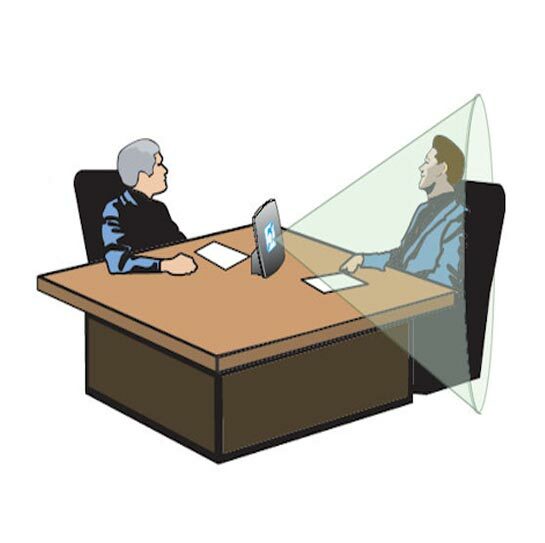 IR systems can cover a relatively large area. They are generally straightforward to install, even after the construction of a room has been competed. As IR systems use light for signal transmission, the signal will not leak out of a closed room. This allows for a secure transmission. Infrared systems require a direct line of sight from the transmitter to the receiver, and in larger rooms, multiple transmitters are needed in order to adequately cover the area. Receiver units need to be recharged regularly, and headsets must be kept hygienic. The receiver must be tuned to the same frequency as the transmitter.